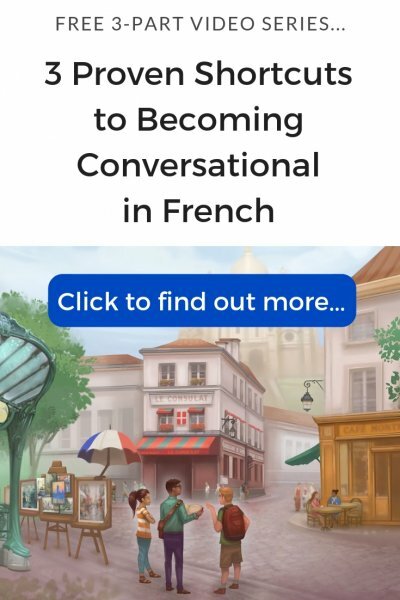 You may have heard that French is a difficult language to learn, but in reality, for English speakers, learning to speak French is actually relatively easy. However, that’s not to say there are no challenges, and for many, one of them is mastering French verb conjugation. 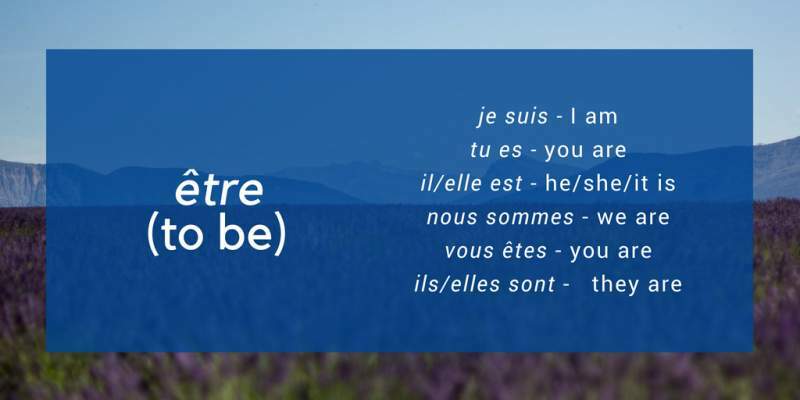 French verb conjugations are something you will have to tackle if you want to learn to speak the language, but as long as you approach them in the right way, there is no reason why they should pose any particular problems. Here, I discuss how to go about studying them in the most efficient and painless way so that you can spend more of your time actually using and enjoying the language! ‘Conjugation’ is a fancy-sounding grammatical term, but if you speak English (which, if you’re reading this, you do), you’re already using conjugation, even if you don’t realise it. In English (and in French), verbs change according to who is doing the action. For example, we say, ‘I look’ and ‘you look’ but ‘he looks’. This is conjugation – the way that verbs change depending on who is doing the action. 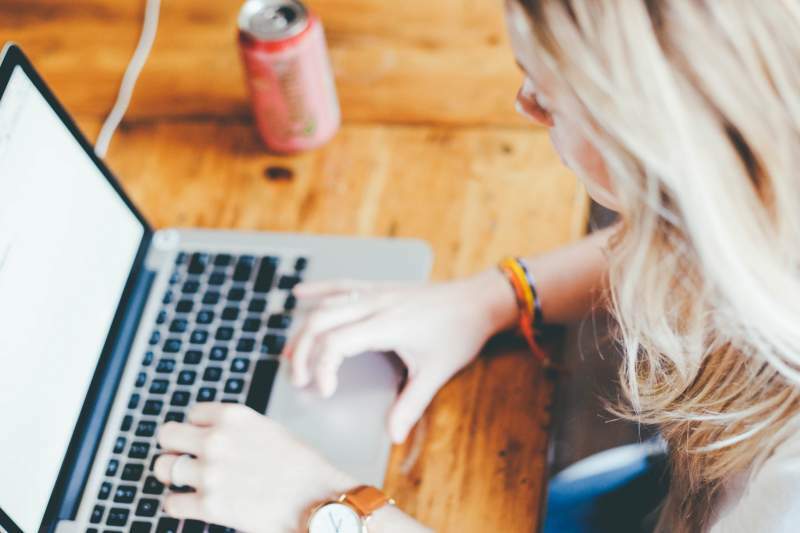 Of course, there’s a little more to it than just that, and I’m going to spend the rest of this article giving you an outline of the basics of French verb conjugation. If it all seems a little abstract at this point, don’t worry. It will all become much clearer as we work through some examples. In French, the vast majority of verbs are regular, that is, they follow entirely predictable rules. This makes these regular verbs a logical place to start. French regular verbs are divided into three groups, and the group to which they belong is determined by the ending of the infinitive (the equivalent of the ‘to’ form in English, as in ‘to look’). Of these, the vast majority of verbs belong to the -er group, and any new verbs in French are automatically attributed to this group. In the earlier examples, we saw that in English, the only change occurs with the he/she/it form (the ‘third person singular’) where we add an ‘s’ – (e.g. he/she/it looks). In French, however, it is a little more complicated since there are a few extra changes. Let’s look at how to conjugate the three groups of regular French verbs in the present to see how it works. As you can see, there are more changes than in English. This might make even this list of regular conjugations look a little intimidating for a beginner. However, although many of the words are written differently, a lot of them are actually pronounced the same, making things much easier than it first appears, at least in spoken French. For example, with -er verbs, the -e, -es and -ent forms are all pronounced the same way! This means that although you have to learn to write je regarde, tu regardes, il regarde and ils regardent, when you speak, the pronunciation is identical (all of them are pronounced like regarde). So, when speaking or listening, instead of six forms to remember, there are really only three. Another way to look at it is to say that only the nous and vous forms are different; in spoken French, the rest are all the same. Similarly, finis and finit are pronounced the same (the final ‘s’ and ‘t’ are both silent, meaning you pronounce the word as ‘fini’). The same is true of attends and attend: the ‘ds’ and the ‘d’ are silent – you just say ‘atten’. Coupled with this is the fact that in spoken French, it is very common to use the pronoun on in the place of nous. On corresponds to something like the English ‘one’, as in ‘one is not amused’ and it uses the same verb form as il/elle. As you can see, things are much simpler than at first sight. If you master just the verb conjugations for these three groups you will be able to use the vast majority of French verbs with no problem at all! The major complication comes from the fact that not all verbs follow these patterns. There are a significant number of party poopers called irregular verbs, and they have to be learnt and remembered. 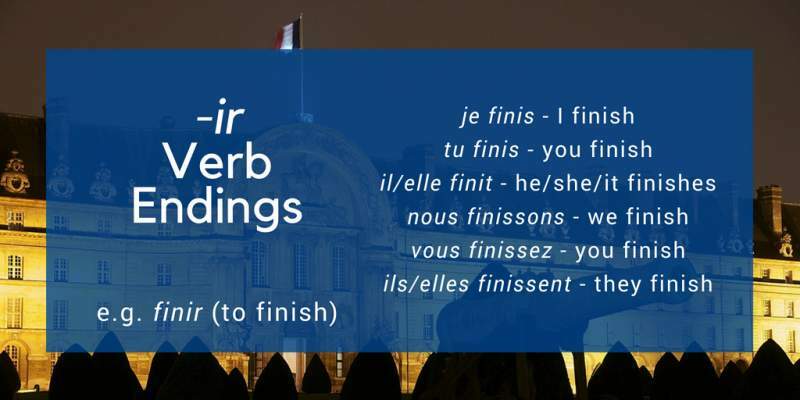 Furthermore, irregular verbs tend to be some of the most common verbs in the French language and you will need to learn how to conjugate these verbs early on before you can express even simple ideas. At first glance, this might seem like bad news, but, au contraire, it’s actually a good thing! From these two examples, note that être is a rare example of a verb that has irregular endings and an irregular stem (the base part of the verb that doesn’t change in most cases). 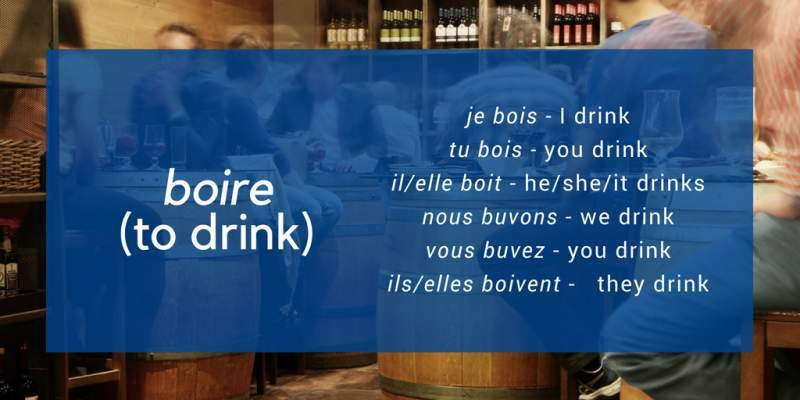 Verbs like boire that have an irregular stem but still follow the rules for endings are much more common (e.g. -ons, -ez, -ent in buvons, buvez, buvent). Before we move on to discussing how best to learn French verb conjugations, there’s one more area we need to touch on and that’s tense. In French, just like in English there are different verb tenses to express past present and future and each tense also conjugates differently. This means we also need to learn how to conjugate verbs in the past, the future and so on. I won’t look at the different tenses individually here; all you need to note is that as you learn French, you will come across new tenses. As you do, you should just apply these same techniques you’re about to discover and you should have no problems learning them. In fact, the more you learn, the more you will instinctively identify patterns – and the easier it will become. 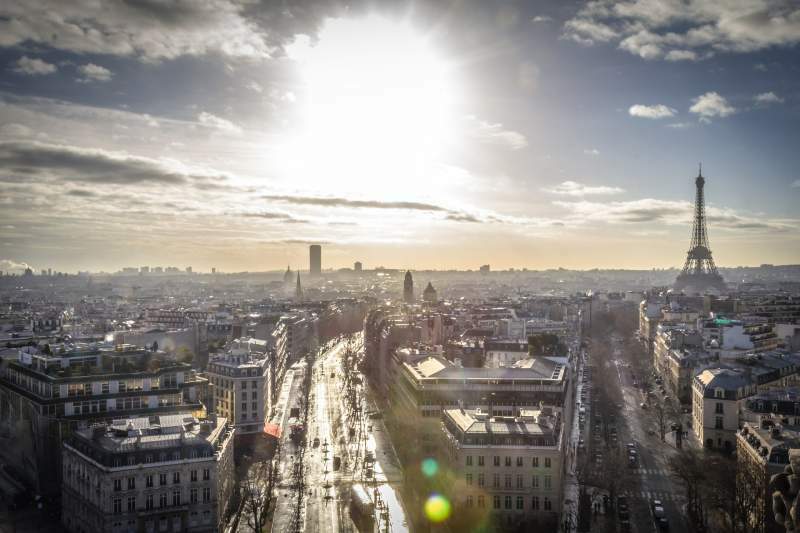 Ready to start learning your first French verbs? Approach verbs in a logical way. 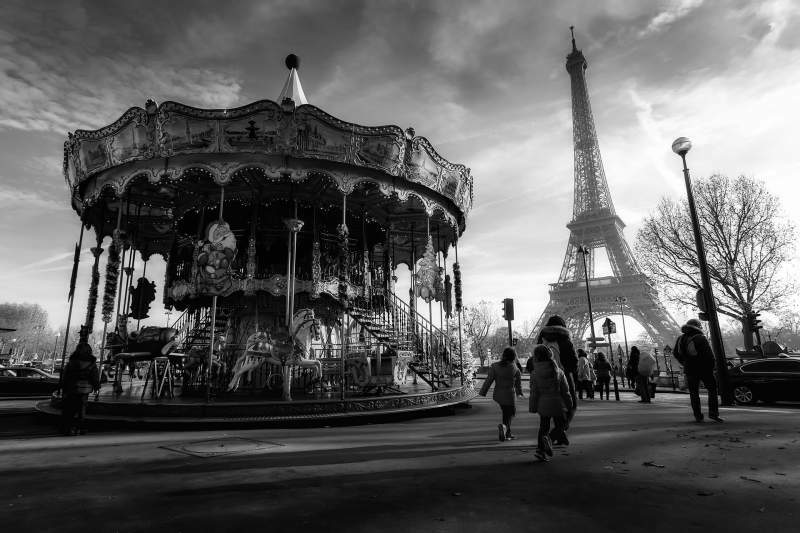 When you first start learning French, the first verb forms to learn are the three regular groups in the present tense. From here, move on to the most common irregular forms you will use most. When you begin studying new tenses, simply follow the same routine. If you concentrate on verbs you use most, their forms will be reinforced by daily use and practice. In this way, you will soon find that remembering the correct forms becomes second nature. As I mentioned, many of the most common verbs in French are irregular. The first two irregular verbs you should learn are avoir and être, ‘to have’ and ‘to be’ respectively. 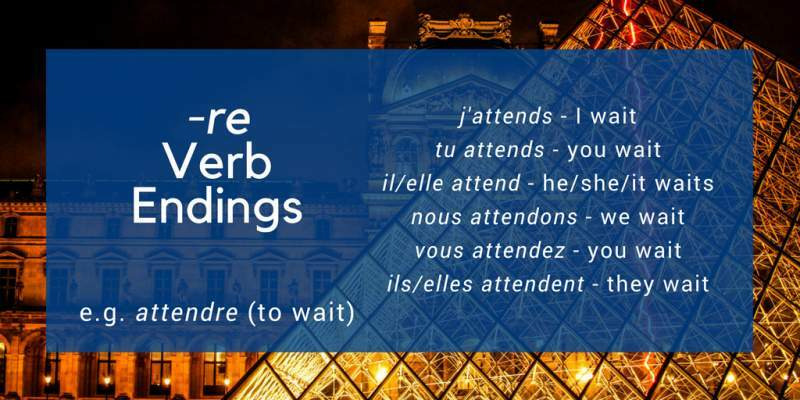 Once you have mastered these, move on to verbs like aller and venir, (‘to go’ and ‘to come’) and so on. Learning these common verbs first will allow you to talk about a range of basic concepts from the start. When it comes to verb conjugations, there is no way round the fact that you need to practise regularly and often to master them. However, this is not the same as memorising lists of words (which is not useful). Pay close attention to how verbs are conjugated when you’re reading or listening. By doing this you will quickly become familiar with the way they sound, and you will find you soon remember them instinctively. This goes hand in hand with daily practice and use of your French in conversation to reinforce the verbs. 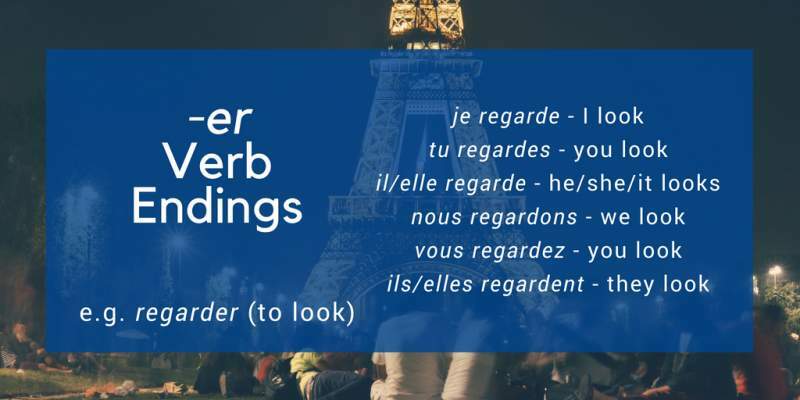 Later, as an experienced French speaker, you will probably realise that there are many verbs you have been using and conjugating for years without even noticing they were irregular – just like a native! Not all irregular verbs are totally unique, and some belong to groups of verbs that conjugate the same way. Once you know one verb in the group, you know them all. An example might be dormir, ‘to sleep’. In the first person singular, dormir becomes je dors. And luckily, there are many other verbs that follow the same pattern! for example: courir – je cours (to run – I run). In fact, this group is so large that it could be regarded as a second class of regular -ir verbs! Either way, if you know how to conjugate dormir, there are a whole lot of other similar verbs you won’t need to learn separately. One final tip is simply not to lose heart. 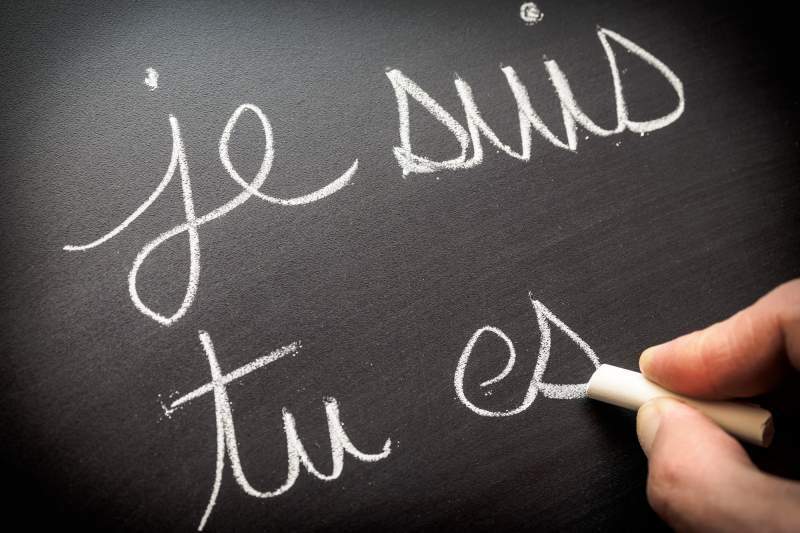 When starting out, it may seem that learning French verb conjugations has no end – but thankfully, that’s not true. It takes time, but after some initial effort, it becomes much easier as you begin to identify patterns and shortcuts. Eventually – and it won’t take long to reach this point – there will come a day when you won’t need to learn any more conjugations because you will have mastered them all (or at least all the ones you need for useful communication). When it comes to French conjugations, there’s nothing to be afraid of – it’s just a question of practice. As long as you study regularly and practise often, the time you will need to spend poring over verb tables is minimal. After working at it at the beginning, the rest will come naturally, as long as you find lots of opportunities to use and practise your French. Does verb conjugation in French drive you mad? Which of the tips in this article are you most excited to try out? Let me know in the comments!